Study after study shows increased viewing for all OTT services on the TV screen, not just SVOD services. In fact, ad-supported services are growing in number, leading to an increase in connected TV ad inventory. If you’re an ad buyer, how do you take advantage of this growing source of addressable ad inventory? If you’re a provider with inventory, how do you connect with the buyers? What are the issues with connected TV advertising, and how are they being addressed? Join this panel representing both the supply and demand sides, as well as content services and platforms, for answers. B102. How Are AI & Machine Learning Impacting Streaming Video? With the right media architecture, viewers and content producers alike can save time on content discovery. Automating the discovery process frees up viewers to spend more time consuming, and it gives producers more time to create content for those viewers to find. This panel examines the business decisions and impacts of AI to streaming applications; the ways in which consumers will get content faster, more seamlessly, and without extensive searching; and the technical requirements to build smarter, AI-powered streaming applications. Today’s consumers are interested in being targeted in different ways with authentic, relevant, and creative content. Through the implementation of universal ID for connected TV, in conjunction with unified IDs on desktops and devices, marketers can optimize the user’s personal ad experience. Dailymotion’s VP of global programmatic and strategic partnerships, Nola Solomon, examines the benefits of creating a unified ID across devices for an omni-channel approach that allows marketers to optimize the viewer experience, as well as how this enables marketers and advertisers to continue to share consistent, relevant messaging across various platforms and devices in real time. YouTube ranks as the second largest search engine in the world, and more than 1.9 billion people use Facebook Live monthly. Companies that aren’t incorporating live video into their marketing strategies are missing out on valuable customers. In today’s mobile-first world, live video serves as a way to connect directly and instantly with the followers you have acquired on your social channels. In this session, attendees learn how to increase the ROI of live video through identifying a single call to action, advertising your live event, showing off your product/services, and interacting with those who tune in. Tuesday, May 7: 4:00 p.m. - 4:30 p.m.
Advertising has reached a tipping point. According to eMarketer, over 25% of U.S. consumers access the internet with an ad blocker installed. Although personalization has become king in today’s world, consumers still suffer through irrelevant ads. In the absence of a truly interactive ad experience, has our industry pushed consumers to ad fatigue and future abandonment altogether? How can marketers recapture the attention of audiences? Brian Benedik, VP, Global Head of Sales at Spotify, shares best practices marketers should implement to keep consumers captivated and drive business. As packages such as T-Mobile’s “Binge On” enable unlimited streaming of services such as Netflix and Amazon Prime Video to wireless customers, the value to the streaming industry of bringing those same relationships to cable broadband providers is becoming evident. “Traffic exclusion” partnerships, in which selected streaming services are not counted against cable bandwidth consumption, offer a variety of advantages, including access to cable/telecom’s vast service footprint, potential gains in viewership, and the ability to drive viewership through co-marketing opportunities between streaming video and cable/telecom providers. Education video usage both inside and outside the classroom is on the rise. The process of creating, managing, and delivering live and on-demand content continues to evolve. What technologies and best practices are schools using? This session explores successful workflows schools have developed to simplify video adoption and make the technology more transparent to educators and students. Our education panelists also recommend crawl-walk-run implementation steps and share lessons learned. To date, most corporate implementations of streaming media in the enterprise have focused on corporate communications and training. Now, organizations are starting to use streaming media in customerfacing environments and in revenue-generating opportunities, and this will be the next breakthrough in streaming media in the enterprise and education. This can’t-miss session gets you thinking about ways to take your streaming implementation to the next level with real-world scenarios of how streaming media has been used to improve customer service, gain new customers, and provide additional services. As video streaming has grown, so too has piracy. Industry sources estimate that as many as 10% of broadband subscribers pirate live streams through technologies like Kodi boxes that are sold online from countries where it is difficult to litigate or police copyright violations. So how can you protect live-streaming content? 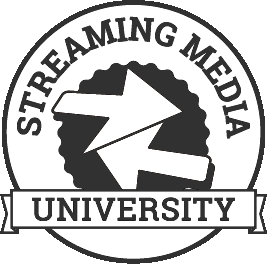 This session explores various methods and technologies in use by some of today’s biggest streaming companies to mitigate stream piracy and protect live content.